Pigzbe, a digital piggy-bank has just appeared on the market, with one goal: introducing children to the world of cryptocurrency. Filippo Yacob, CEO of the company, claims that this device will give a new generation of children “financial superpowers”. 50 billion devices are due to come online by 2020 (Evans, 3) so what makes Pigzbe so innovative? Pigzbe is a digital piggy-bank created for children, aiming to help them understand how to save, spend and invest money through the world of cryptocurrency. The founder states that “physical money is the wrong instrument to teach children financial education” (Naud). 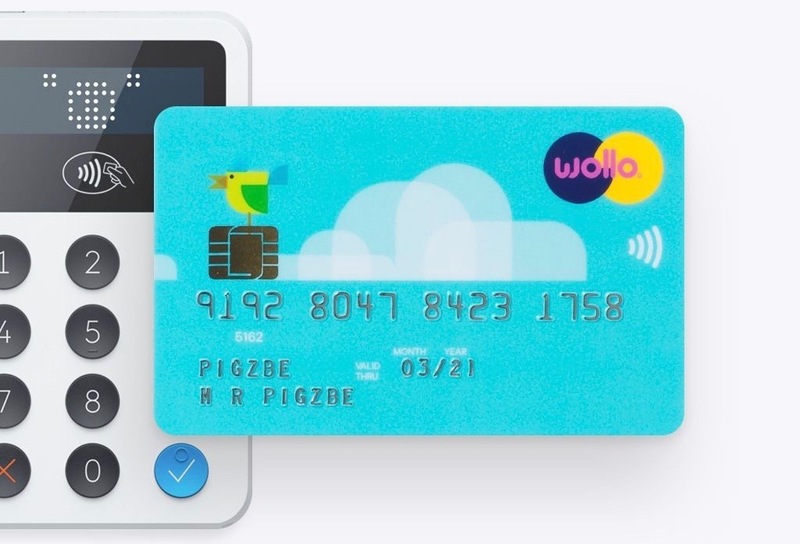 Pigzbe uses a digital currency named Wollo and is powered by blockchain technology. A blockchain is a digital ledger of transactions, enabling instantaneous exchange of digital currency all over the world. 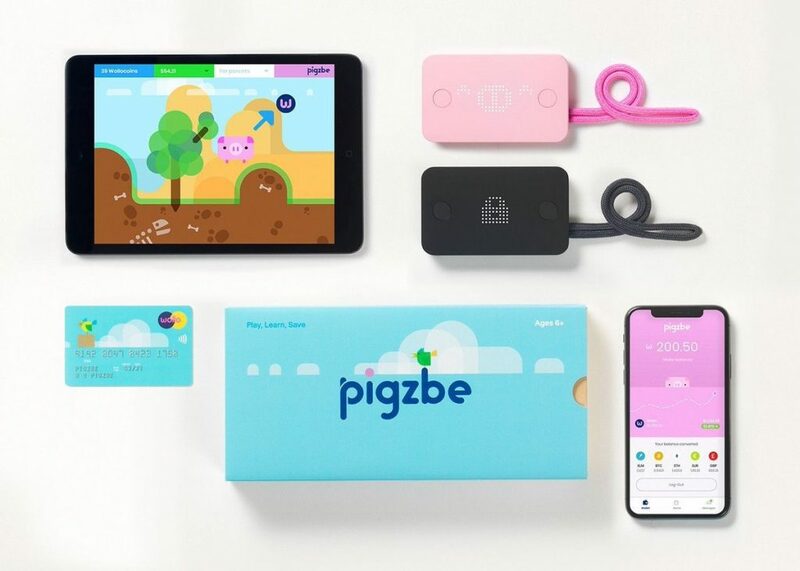 Pigzbe is a dual tool device allowing parental control while offering the children its educational characteristic combined with its ludic capability. The app enables parents to track their child’s Wollo balance. 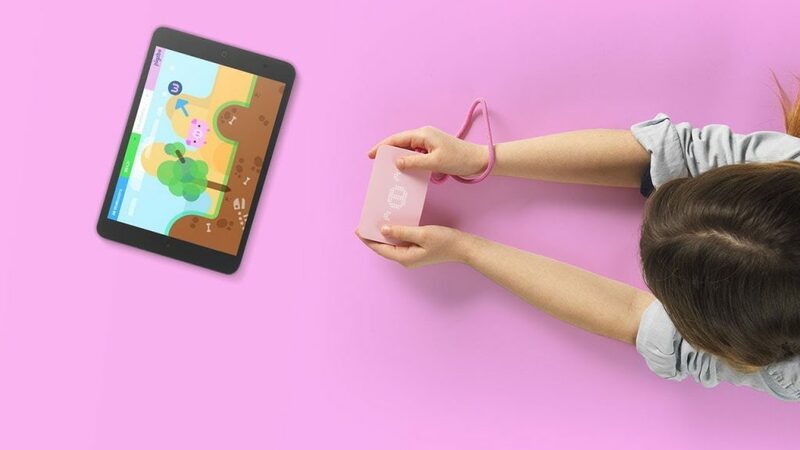 The children’s device can also be used as a remote control to play a game on the Pigzbe app. This game aims to help children understand the value of several currencies and their worth in the real world. 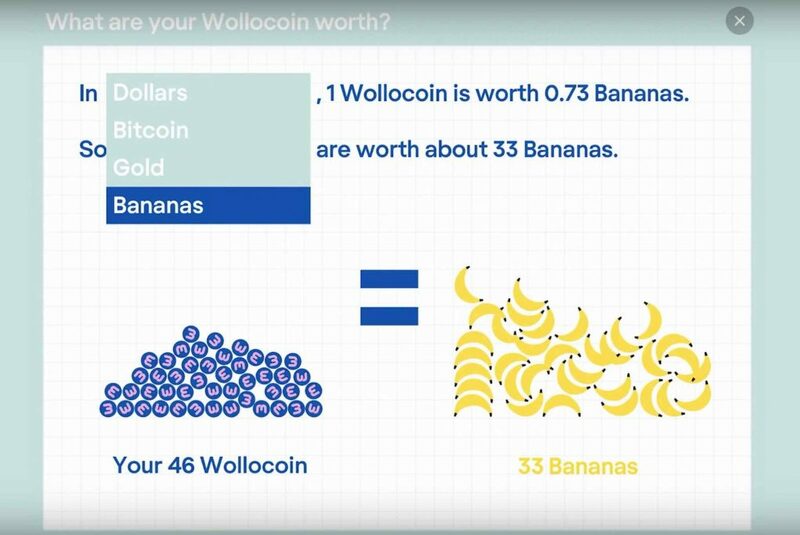 Below is a screenshot of the game, illustrating the value of Wollos compared to the worth of dollars, bitcoin, gold, and bananas. A credit card, facilitating actual expenditure by both categories of users comes with the Pigzbe device. 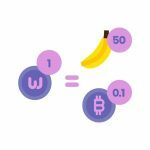 To understand Pigzbe and its digital currency Wollo, one needs to understand cryptocurrencies. The first cryptocurrency, Bitcoin, was invented in 2009. Since then, its value has tremendously increased. And even though there are more and more cryptocurrency-enthusiasts, digital currencies can be seen “as an unfamiliar, marginal phenomenon restricted to the purview of specialists” (Brown, 327). There are now thousands of cryptocurrencies on the digital market, their popularity can be explained by the way they operate. Using the blockchain technology, these cryptocurrencies exist using code. Vidan and Lehdonvirta introduce the notion of “trust in code” (1). Users trust the codes and the blockchain, because “unlike bankers and politicians, code is assumed to have no greed, fear, or ideology, and can be trusted to regulate the economy with a steady robotic hand” (Vidan, Lehdonvirta, 3). Considering the notion of trustfulness, and the fact that cryptocurrencies have existed for nine years, what makes the newly-launched Pigzbe so ingenious? Financial education is therefore crucial for the next generation, however, is cryptocurrency the best tool for this purpose? Pigzbeaims to show the positives of cryptocurrency. Through their devices and app, money can be received and sent all over the world in seconds, with no transaction fees. Parents can closely monitor their children’s digital wallet, as well as their own investments. As Mattern describes “wirelessness affects how people arrive, depart, and inhabit places, how they relate to others, and indeed, how they embody change” (2). The wireless function of Pigzbe could therefore impact children throughout their life. But what if Pigzbe were painting a perfect portrait of the world of cryptocurrency? It is important to mention that Pigzbe comes with a device for children and for adults, but they are not necessary to make the app function. These devices can therefore be seen as infrastructures that enhance the user’s experience. Since the core of the app functions online with the blockchain technology, it can make us wonder how safe this digital world is, especially when children are involved. Lupton claims that children are “becoming the objects of a multitude of monitoring devices that generate detailed data about them, and critical data researchers and privacy advocates are only just beginning to direct attention to these practices” (780). Privacy is therefore a potential issue, with children entering the cryptocurrency world. Even though blockchain technology is powered by thousands of users, risks are still present: “privacy protection can be undermined by hackers” (Weber, 112). The law also has to be taken into consideration, as very little regulations have been put in place regarding cryptocurrencies. Eric Holder, US Attorney general explains that “Virtual currencies can pose challenges for law enforcement, given the appeal they have among those seeking to conceal.” Problems therefore arise, wondering how parents can teach financial education through cryptocurrency without highlighting its important risks. Even though Pigzbe presents advantages and downfalls, it could have a tremendously positive impact on the next generation. The cryptocurrency, coding and financial sector are still very much dominated by men. If this device is introduced to a large number of children, it could potentially encourage and interest young women to flourish in these fields. 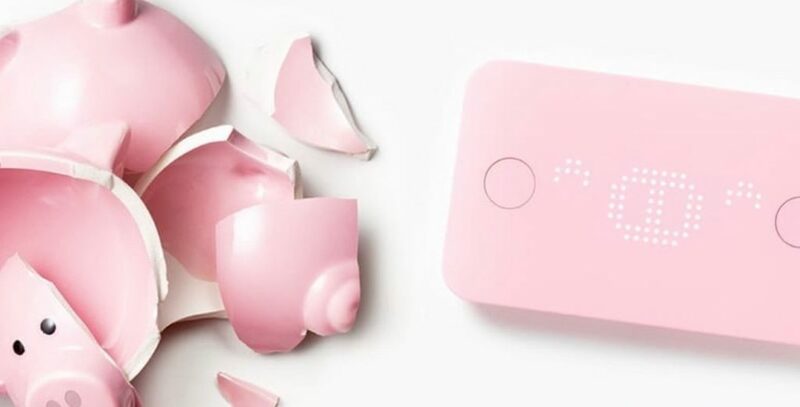 However, Pigzbe’s major downfall is its elitist unaffordable aspect of having to make a down payment of 600$ worth of Wollos to obtain the physical device for children. A further investment of 1200$ is necessary if one wishes to get the device for children and adults. The accessibility being so restricted to the potential investor makes Pigzbe out of reach for the mass market. In conclusion, Pigzbe is a fascinating project that could positively impact the next generation. It could make financial education accessible, while being playful using the Pigzbe game. However, there are still some areas of the cryptocurrency world that remain uncertain. From anonymous transactions, to absence of legal regulations, cryptocurrencies could become a major privacy concern. But one question remains, even though children’s financial education is absolutely necessary, is Pigzbe and its cryptocurrency ready to take over traditional piggy-banks? Brown, Steven David. “Cryptocurrency and Criminality.” The Police Journal: Theory, Practice and Principles, vol. 89, no. 4, 2016, pp. 327–339. Evans, Dave. “The Internet of Things How the Next Evolution of the Internet Is Changing Everything.” Cisco, Apr. 2011, www.cisco.com/c/dam/en_us/about/ac79/docs/innov/IoT_IBSG_0411FINAL.pdf. Frank, Matt. “Cryptocurrency.” Explained, season 1, episode 16, Vox Media, 6 June 2018. Netflix. Greaves, Edmund. “Global Money Week: Schools Need to Spend More Time on Financial Education.” Moneywise, 13 Mar. 2018, www.moneywise.co.uk/news/2018-03-13/global-money-week-schools-need-to-spend-more-time-financial-education. Lupton, Deborah, and Ben Williamson. “The Datafied Child: The Dataveillance of Children and Implications for Their Rights.” New Media & Society, vol. 19, no. 5, 2017, pp. 780–794. Mustola, Marleena, et al. “Reconsidering Passivity and Activity in Children’s Digital Play.” New Media & Society, vol. 20, no. 1, 2016, pp. 237–254. Parks, Lisa. “‘Stuff You Can Kick’: Toward a Theory of Media Infrastructures.” MIT Press, pp. 355–373. Pigzbe. “Yannick Naud: Pigzbe as a Blockchain Product for the Masses.” YouTube, YouTube, 1 June 2018, www.youtube.com/watch?v=qEPXMhcboc8. Vidan, Gili, and Lehdonvirta, Vili. “Mine the Gap: Bitcoin and the Maintenance of Trustlessness.” New Media & Society, 2018, pp. 1–18. Weber, Beat. Democratizing Money? : Debating Legitimacy in Monetary Reform Proposals. Cambridge University Press, 2018.